Torus Power isolation transformers dramatically improve the performance of all audio and video systems. 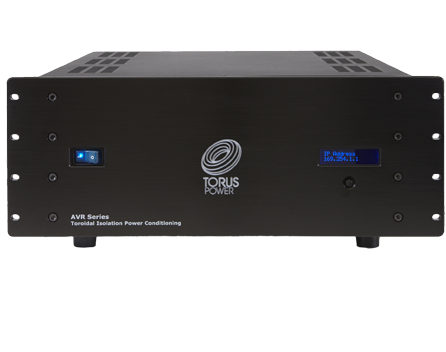 Connect audio equipment to a Torus Power isolation transformer and it comes alive – with more dynamics, improved imaging, and cleaner, enhanced bass. Video is crisper, with darker blacks, and brighter colors. Torus Power Toroidal Isolation transformers also protect connected equipment from potentially damaging AC power line events, including severe lightning strikes and brownouts, thereby increasing system reliability, and extending product life.